Over time I’ve learned that there are a lot of P1’s that record and archive the greatness of the Ticket. There are also a lot of P1’s that want to record and re-listen but just aren’t sure how to do it. This page is here to try to get new contributors to help on TheUnTicket.com and help P1’s learn how they can record the Ticket for their own purposes and/or help here on this site. As far as helping contribute to this site, I’d like to have a couple people tend to each show. If you would like to be a contributor to a specific show, we would love to have you help. 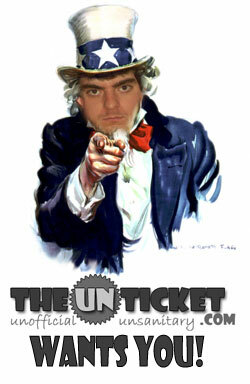 Just email dp@theunticket dot com and mention the show you’d like to help with. I’ll send all the details at that point. 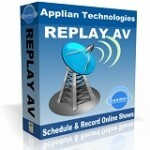 For recording audio I use software called Replay A/V. You can set it on auto-pilot and it will record the audio at specified times you tell it to and save to your computer. Then when you’re ready to open the audio and edit it, just go to the folder where your audio is saved and all the saved files will be there. Just remember that you have to leave your computer on in order for the planned sessions to record. For editing audio, there’s nothing better than Audacity. All you have to do is open the audio file up inside the software and you can trim the audio to only the part you want to hear/post, along with a list of other effects and tricks you can do. You can read all you want on the Audacity site on how to use it. If you want to contribute, the email again is dp@theunticket and I’ll fill you in with the rest of the details at that point. If not, hope the recording and editing process helps you learn to do it on your own and maybe it will help in another way. Any suggestions on Mac software to record with? I downloaded Audacity for Mac but Replay A/V is PC only. http://www.youtube.com/user/dallasradionerd/about has generous mention that a show would be mailed on discs if requested. That is just kindly..Beyond the Pale! I’m hoping you can mail this 2/28 show, as i love to hear Jerry when he’s dosed. Can anyone tell me who Norm had on recently that does so well with the NCAA brackets? The guys that works out of his garage? I have audio tapes of ticket shows from the late 1990s — how do I donate them to the Unticket? Do you still have these tapes? We missed Junior Coast to Coast last night. Hoping that you or another P1 were rolling on it and you’ll post it. I’ve been hoping you would post the Musers’ segment about young folks leaving their parent’s nest which was at 8:15am on 5/24. I caught only the very end of it but it sounded great. Can you post the Muser’s segment about the new Mechanical engineering employee who walked into the 74yr old bosses office to see crossdresser w/delado inserted? This segment made me nearly drive off a cliff. I can’t find any reference to it.